Ever wondered how materials like nylon and polyester are made? How it’s possible to make food stay fresh for longer? Or what happens inside a water treatment plant? Maybe you know all that, but are curious about how bionic plants, fog harvesting and carbon nanotubes can be used to improve the world around you. These are just some examples of topics you might cover as part of a chemical engineering degree – essentially the study of how to turn raw materials into useful, everyday (or perhaps more specialized) products. So, what is chemical engineering? Chemical engineering is a multi-disciplinary branch of engineering that combines natural and experimental sciences (such as chemistry and physics), along with life sciences (such as biology, microbiology and biochemistry) plus mathematics and economics to design, develop, produce, transform, transport, operate and manage the industrial processes that turn raw materials into valuable products. Chemical engineers may be specialized in one or the other subgroup, but work from both side will be required in order to create a final product. They will need to consider economic viability, management of resources, health and safety, sustainability and environmental impact. Entry requirements for chemical engineering degrees usually emphasize a strong background in chemistry and mathematics, while knowledge of other sciences is beneficial. Some background knowledge of the nature of chemical engineering and its various real-world applications is also a good way to prove to university admissions officers that you have a keen interest in pursuing a chemical engineering degree. Many institutions accept a range of entry routes into chemical engineering – you can enter from a natural sciences background, or through engineering or computer sciences. Some institutions are even more flexible, accepting students from all disciplines. And, if you don’t have the required grades or subjects needed for entry, some institutions offer a foundation course to help you get up to speed with the required skills and knowledge. If you have a diploma or similar lower-level certificate in chemical engineering from a recognized institution, you may be able to be admitted directly into the second year of a chemical engineering degree program – check with the institution(s) you are interested in to find out if this is an option. Undergraduate-level chemical engineering degrees can last from three to five years. The duration varies based on the institution and the country in which you study, but also depends on whether you choose to study a Bachelor of Engineering (BEng) or a Master of Engineering (MEng) – also referred to as a Bachelor of Science (BS) or Master of Science (MS) depending on national naming conventions. The BEng will last three to four years, and the MEng four to five years. Some institutions may also offer the chance for BEng students to transfer to a related MEng degree program during the latter half of their degree, provided they meet certain academic requirements. Conversely, those enrolled on the MEng program may be able to cut short their degree and graduate with a BEng instead. The MEng allows students to develop a greater depth of chemical engineering skills, knowledge in chemical engineering and complete a wider range of project work. Once you have accumulated the necessary work experience, qualifications, skills and knowledge, an accredited MEng also allows you to gain the status of Chartered Chemical Engineer. Many institutions offer a “sandwich year”, in which students spend one year working in industry and/or studying abroad. You may also be able to combine chemical engineering with another discipline such as environmental engineering, business management, foreign languages and subjects in the humanities. Regardless of whether you choose a BEng or MEng, you’ll begin your degree program with some core chemical engineering courses, covering fields such as pure and applied mathematics, computing and computer-aided design (CAD), and the sciences. You’ll then proceed to study these topics in more depth, with the option to specialize by choosing from a range of elective courses. In later years, you’ll move on to more advanced laboratory classes, working with large-scale and industrial equipment. You can also expect to learn about the wider context of chemical engineering, including financial, ethical and environmental issues, and may have the opportunity to study business, finance and management courses. 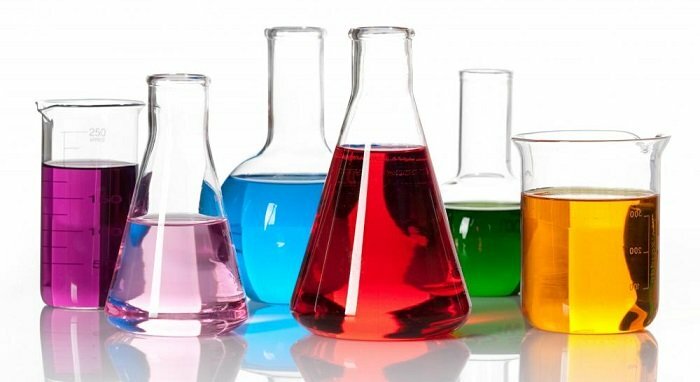 Typically, chemical engineering courses are taught through a combination of lectures, tutorials, seminars, computer practice sessions, extensive practical laboratory work and project work (individual and group). Some institutions will offer online teaching, as well as site visits (or field work). Your institution may also be able to provide classes by industry professionals, who will give an insight to current industrial practices and concerns. Final assessment is typically a substantial research and development project, but you may also be tested through written examination, coursework, laboratory reports, multiple choice examinations, oral presentations, and interviews. While its origins are in oil refining and petrochemical production, and the fundamentals of the subject have changed relatively little, chemical engineering is constantly evolving. It is constantly pioneering new and improved materials and related techniques which help advance scientific knowledge in fields such as nanotechnology, fuel cells, fabric development, mineral processing and bioengineering. Some typical chemical engineering courses you may cover include fluid mechanics, mass and heat transfer, techniques for separation of materials, thermodynamics, plant design, process systems, process economics, process analysis and process operations. Other courses could cover biochemical engineering, colloid and interface science, engineering management, environment, food engineering, food processes, fossil fuels, gas absorption and adsorption, liquid effluent treatment, membrane science, nanoscience, nuclear energy, petrochemicals, pharmaceutical process development, reaction engineering, reactor design, safety and hazard engineering, sustainable engineering and waste management. Also called reaction engineering or reactor engineering, chemical reaction engineering deals with chemical reactors (vessels designed to contain chemical reactions) such as those found in industrial plants. Chemical reaction engineering is the management of industrial reactor/plant processes and conditions to ensure optimal reactor/plant operation. The term is frequently used specifically in relation to catalytic reaction systems where a homogenous or heterogeneous catalyst is present in the reactor. You’ll learn about multi-produce and multi-purpose plants, how to analyze reaction kinetics and mechanisms, how to study and optimize chemical reactions in order to define the best reactor design, how to construct models for reactor analysis and design and how to use laboratory data and physical parameters to solve problems and predict reactor performance. You’ll draw upon many topics within chemical engineering, including the others explored here. Plant design involves creating plans, specifications, and economic analyses for new industrial plants and/or plant modifications. You’ll gain an understanding of the fundamental basis of designing industrial plants, and learn how to use the design tools most commonly employed by engineers in industry. You’ll learn about the design criterions for process equipment such as pumps, heat exchangers and phase separators, and gain an understanding of plant economics and plant optimization using cost models. You’ll also learn about the safety, regulatory and economic concerns within plant design (such as during the choice of process, material and equipment). The field of process engineering is the application of chemical engineering principles to optimize the design, operation and control of chemical processes. You’ll develop an understanding of the concepts and techniques involved in materials extraction and processing, the basic terminology used in the chemical, minerals and material industries, and the basic science involved in a range of unit operations such as: crystallization, distillation, gas absorption and adsorption, evaporation, filtration and drying. You’ll become familiar with the design and operation of a range of process engineering equipment and operations, learn about different fuel sources and energy consumption patterns and learn about safety, regulatory and economic concerns within plant design (for example regarding the choice of process, material and equipment). The umbrella term “transport phenomena” encompasses all agents of physical change in the universe. It is a name given to describe a range of phenomena that frequently occur within industrial problems. It concerns the exchange of mass, energy and momentum between observed and studied systems. This includes topics such as fluid dynamics (momentum), heat transfer and mass transfer. You will gain a thorough understanding of the mathematics needed for describing transport phenomena at macroscopic, microscopic and molecular levels, and for drawing deep mathematical connections between them. Specializing in process design means becoming an expert in the design of unit processes. The chemical equivalent of one unit operation, one unit process, is the individual physical step in a chemical engineering process (like crystallization, drying or evaporation), which is used to prepare elements during chemical processing in reactors. Unit processes and unit operations go hand in hand to constitute a process operation, involving the conversion of material by chemical (bio- or thermo-) means. Considered central to chemical engineering and one of the most challenging fields within it, process design brings together all of the components within chemical engineering. You’ll learn how to create processes, design the equipment for a process, operate processes and improve processes in order to achieve the desired physical and/or chemical transformation of materials. As design usually starts at a conceptual level, you’ll also learn how to use specialist computer software for process simulation. Many professional fields rely on chemical engineering skills, knowledge and expertise, from environmental and energy to medical, gastronomical and technological. Indeed, chemical engineering is essential to pretty much every area of human activity – as a graduate in this subject, you can choose to apply your knowledge within an impressive variety of sectors. Some popular chemical engineering jobs and sectors include alternative energy, biomedical, biotechnology, chemical products (such as fine chemicals and specialty chemicals), chemical manufacture, civil engineering, consumer goods, cosmetics, design engineering, electronics, environment, food and drink, fertilizers, fuel and energy, health care, materials, mining and minerals, nuclear energy, oil and gas, paper manufacturing, pharmaceuticals, petrochemicals, plastics and polymers, process safety, sustainable engineering, textiles, toiletries, water and waste management. A chemical engineer or process engineer is involved in the research, design, development, construction, modification and operation of industrial processes and machinery that are used to produce a diverse range of items. Depending on your specific role, you might be researching and developing new products from trial to commercialization, managing processes from testing in a small plant to full industrial-scale manufacturing, developing improvements to product lines, modifying processing plants, and designing and commissioning new plants. After a specific period of work in this sector, you can apply to gain official Chartered status, or the equivalent in your country – a mark of professional competence. While the specific activities will depend on the role and sector in which you work, most chemical engineering jobs likely require working closely with a team of chemical engineering technicians and engineers. They will use their chemical engineering skills to apply new technologies and approaches, ensure maximum efficiency and profitability, wear protective clothing and equipment while in the lab/product plant, develop methods for dealing with by-products and waste materials safely, and ensure potential safety issues are considered at all stages. Depending on your role, you might be working solely in the lab, office or processing plant, or divide your time between the three. Candidates with an aptitude for leadership may also move up to become plant managers or company executives. A food processing engineer works in the development of food products, combining science, engineering, chemistry and microbiology. You’ll use the latest products and technologies to design techniques for food creation, processing, preservation, packaging, distribution and improvement. You’ll use your understanding of heat transfer and fluid flow principles during your work, and also use simulation tools to aid designing and troubleshooting process optimization. You’ll likely work as part of a larger team of engineers and scientists, and you may be employed by food manufacturers or work alongside experts from the agricultural and food processing industries. You may be responsible for all or part of food production, perhaps specializing in food additives, food safety, nutrition, packaging, preparation methods/ingredients, or research of chemicals found within food. Many chemical engineering graduates work as a consultant in the pharmaceutical industry. If you’re from a medical background, you’ll likely be involved in the promotion and retail of pharmaceutical products. As a pharmaceutical consultant from a chemical engineering background, you’ll instead concentrate on the production of pharmaceuticals, using biochemical engineering and addressing issues such adhering to regulations, and being aware of the commercial constraints within the pharmaceutical industry. You’ll likely work on a range of projects, from addressing consultancy questions for other clients to designing, commission and validating large pharmaceutical production and production facilities. You’ll also likely work in a multi-disciplinary team, and on pharmaceutical projects based on other technologies. Chemical engineering within wastewater management involves designing and developing the wide range of physical, chemical and biological unit operations needed to remove contaminants from water and wastewater. You’ll likely be part of a team working on new works construction, improvements, maintenance, managing and operating the treatment plant and distribution networks. You’ll need to keep in mind health, safety and hygiene, how to minimize waste streams from treatment processes, economic and environmental concerns, and keep up with new technologies and new legislation. Many chemical engineering graduates become process engineers when they graduate. This is essentially the application of chemical engineering principles to the optimization, design, operation and control of chemical processes. An energy process engineer uses his/her knowledge to pinpoint opportunities to save energy, propose solutions for more energy-efficient operation, and aid in the design, manufacture and operation of energy infrastructure. You’ll need to understand energy supply and demand requirements, engineering economics, the implications of the usage of different types of energy and energy minimization. You’ll use a range of technologies and equipment to produce, transfer, distribute, convert and utilize energy and gain a thorough understanding of renewable and alternative energy systems.